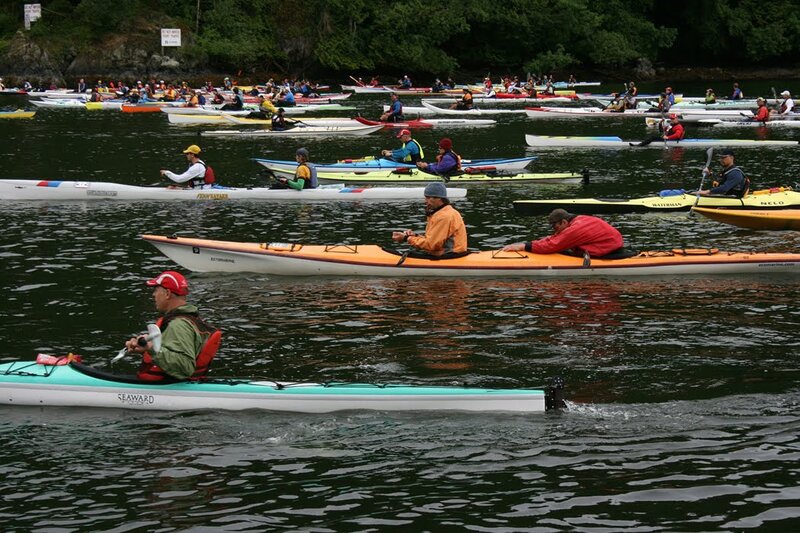 "The 11th Annual Round Bowen Challenge will be held on June 6th, 2010 and is set to be the greatest set of Races yet! 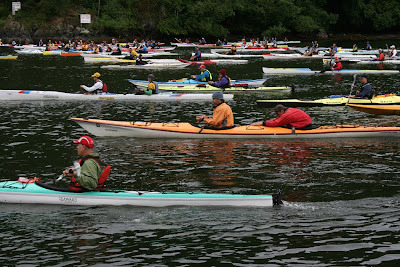 Bowen Island Kayaking has opened up the Finistere dash to Paddleboards this year, and will also still be holding the Outrigger Relay and of course the Round Bowen Challenge and grand post race party. " The above photo was taken by Heather Nelson, one of our past guests, while she competed in the 2008 Round Bowen Challenge. I love this photo!!! 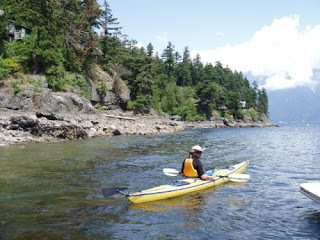 If you are a competitive paddler the Lazy Bowen Hideaway & the Lazy B Petite Suite are the ideal waterfront accommodations. 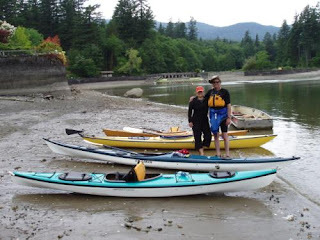 Paddle to and from the property as the beach is only 1 minute away, and then store your kayak on the property grounds. Above are our 2009 guests paddling down below the Lazy Bowen Hideaway. You can see the cottage on the left peaking through the trees perched just above the rocky shore. The Neighborhood dock is just 1 minute down the trail and perfect for docking your kayak during your stay. As avid recreational kayakers our last year's guests were loving all the race activities while enjoying their own adventures on Bowen. Below they are taking a break in Deep Cove just around the point from Snug Cove. If you love to watch the race and all the competitive activities this is a terrific weekend to spend at the Lazy Bowen Hideaway. 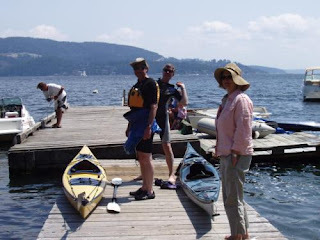 Enjoy the race from the seaside decks or get involved in the activities in Snug Cove.....It is what Bowen Island is all about....good healthy fun!! !